6' wide x 9' long (fabric size, allow 3-4" additional width for mounting space). 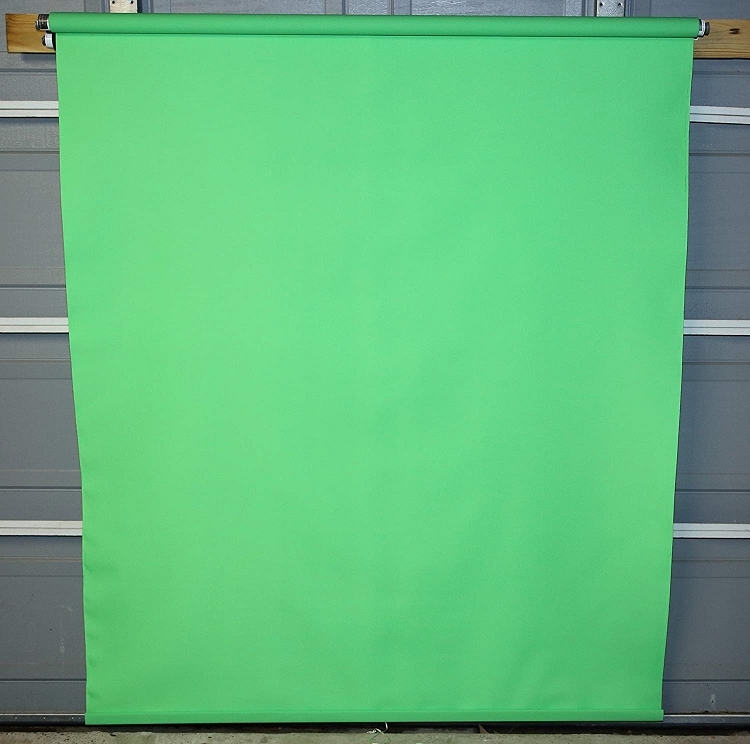 Professional heavy-weight 20oz fire retardant fabric backdrop, available in digital key green only, mounted on heavy-duty steel spring loaded bar roll system, complete with wall mount brackets and hardware. Simply pull down the backdrop to use, then tug the pull-string to retract. Ideal for quick change of backgrounds and wrinkle-free, protected storage when not in use. 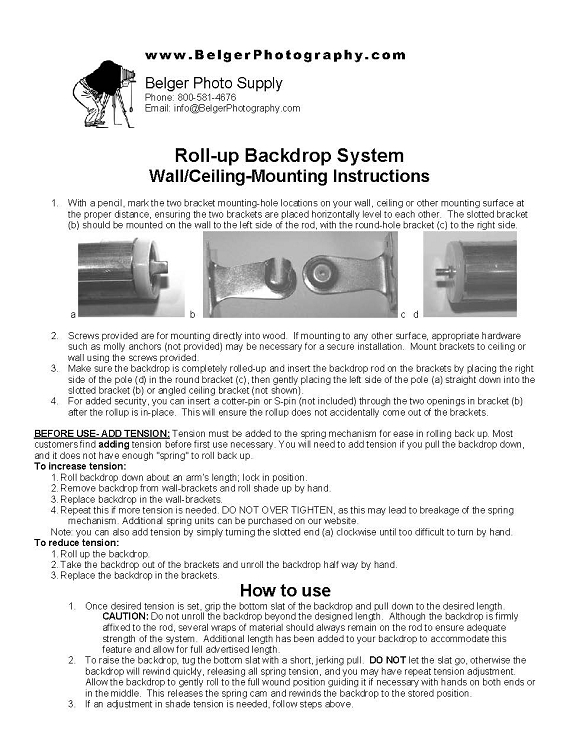 Easy mounting instructions and all necessary hardware included. Oversize shipping rates apply.